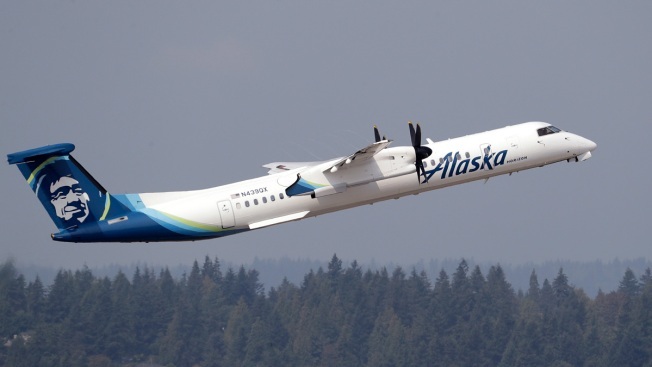 In this Aug. 13, 2018, file photo, a Horizon Air Q400 turboprop airplane, part of Alaska Air Group, takes off from Seattle-Tacoma International Airport, in SeaTac, Wash.
An Alaska Airlines flight was diverted to Minneapolis-St. Paul International Airport after a foul odor sickened some passengers and crew members. The flight from Chicago to Seattle made the unscheduled landing about 7 p.m. Wednesday. The flight was canceled and passengers were rebooked on other flights to Seattle. Airport spokesman Patrick Hogan says the smell was much like burnt plastic, but the source of it has not been identified. He says some people were having trouble breathing. Eight people, including six crew members, were medically evaluated at the airport and four were taken to a hospital. A pilot was arrested in Manchester, England, when he was suspected of being intoxicated before a Philly-bound flight was set to take off. Travelers at Philadelphia International Airport reacted to the news. 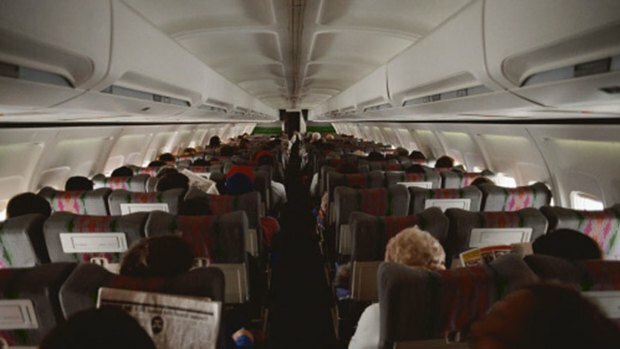 Flight 51 was carrying 144 passengers.